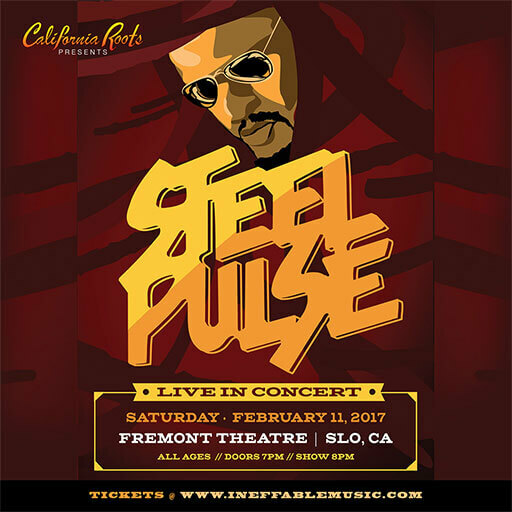 Steel Pulse - Otter Productions Inc. | Otter Productions Inc. Steel Pulse - Otter Productions Inc.
Steel Pulse returns to the Central Coast to the Historic Fremont Theatre in downtown San Luis Obispo on Saturday February 11th. 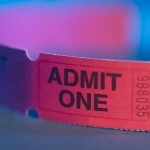 Advance G/A tickets are on sale now at Boo Boo Records in downtown SLO and at www.ineffablemusic.com. All Ages. Produced by Cali Roots and Otter Productions, Inc.
Grammy award-winning reggae band Steel Pulse return to the Central Coast to the Historic Fremont Theatre in downtown San Luis Obispo on Saturday night, February 11th! Steel Pulse have been true to their roots for over 35 years. One of Bob Marley’s favorites, the band has maintained a sense of fierce integrity as it strives to get the message of love and justice across to all people. STEEL PULSE may have explored various styles of music since they started out in 1975, but when it comes to the message, the UK’s Grammy – Winning reggae band has remained close to their roots. The Group have continued their commitment to fighting injustice, educating the masses, and promoting positive messages through spiritually uplifting music. “We just can’t ignore the politics, because every life and soul that’s born on this earth is a political manoeuvre for someone, at some stage”, Hinds explains. “From a spiritual aspect, it’s really an upliftment through facing reality – what’s out there. We deal with positive spirits. It means putting aside the guns, the drugs and all of the things that are ailments of society – especially the black communities right now”.